NSF International said it would relocate its Sacramento, Calif., water products testing facilities to its world headquarters in Ann Arbor, Mich., to improve customer service. The relocation will mean closing the Sacramento laboratory, where much of the testing of drinking water treatment units (DWTU) had been performed. Currently, all products tested in Sacramento also require some additional testing in Ann Arbor to complete approvals needed for these products to display the NSF mark. All testing will now be performed at one location. The official closing of the Sacramento laboratories was scheduled for March 22. Employees impacted by the change are being provided severance packages, including career transition assistance and opportunities to fill open positions in Ann Arbor. Meanwhile, NSF has refocused its operations to correspond directly with the two major markets it serves—food and water. The reorganization allows NSF to meet more needs of customers in the two industries. NSF is combining its services—including product testing and certification, food safety audits, laboratory and toxicology consulting, education and regulatory—into two comprehensive food and water departments. Mark Jost, NSF’s senior vice president for Water Systems, is responsible for all services for the water sector. These include the Water Distribution Systems Program, the DWTU program, the USEPA Environmental Technology Verification Program and Environmental Research Services. In other news, NSF has introduced a new mark for manufacturers to place on their certified products. The new mark includes the circular NSF logo with the words “independently certified” and the NSF website (www.nsf.org). Manufacturers of NSF-certified consumer products such as dietary supplements, DWTUs, bottled water and residential equipment may voluntarily adopt the new consumer mark for their certified products. The “independently certified” designation lets consumers know that the manufacturer has voluntarily sought independent, third party certification of the product. Finally, NSF and Osmonics Inc., of Minnetonka, Minn., have been working together to provide a data transfer program for clients wanting to use authorized Osmonics reverse osmosis membranes within their system. Osmonics has completed all required testing at NSF to allow for a data transfer under ANSI/NSF Standard 58 and is available for use under the NSF data transfer testing protocol. The requirements include performing a Standard 58 TDS reduction test of the manufacturer’s system with the Osmonics element in it. Calculations using test results determine if the system meets the performance requirements of the data transfer procedure. Also, in late February, NSF received a letter from the California Department of Health Services outlining their policy on website marketing of water treatment devices. In short, the department considers websites to be national marketing brochures. As a result, they must comply with the requirements of the California Device Certification Program. Simply put, if a residential water treatment device is marketed on a website on the basis of health claims and is certified in California, the claims must be consistent with its California certification. Joe Harrison, WQA’s technical director, said the ruling should have little impact on the majority of dealers. “It’s the same law and same rules,” he said. “Before you snap to a judgment, I think you have to put yourself in California’s shoes.” Harrison added that many dealers not doing business in California would be wise to include a “Not for sale in California” disclaimer on their websites. The department will routinely check manufacturers’ websites during any application process as well as other general Internet searches for residential water filter sales. Section 116840 of the California Health and Safety Code provides for the assessment of civil penalties up to $5,000 for each violation. 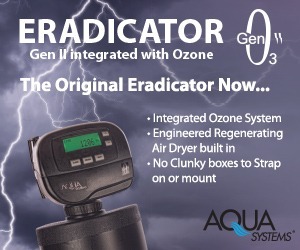 PCI-WEDECO Environmental Technologies, of West Caldwell, N.J., was selected in late February to supply an integrated ozone generation system for the Little Falls Water Treatment Plant in Totowa, N.J. The company will provide an advanced treatment technology as part of an improvement to an existing drinking water treatment plant, which will produce almost 88 million gallons per day of drinking water. Black & Veatch, of Kansas City, Mo., and Killam Associates, of Millburn, N.J., designed the new ozone system as part of a major plant upgrade. About two-thirds (65.8 percent) of the U.S. population received fluoridated water from public water systems in 2000, up from 62 percent in the early 1990s. This, however, still falls short of federal objectives for water fluoridation, according to a report from the Centers for Disease Control and Prevention. Currently, 26 states and the District of Columbia met the goal of 75 percent of the population receiving fluoridated water. From 1992-2000, five additional states—Delaware, Maine, Missouri, Nebraska and Virginia—achieved the 75 percent objective, and Oklahoma fell just short of the objective. Overall, the percentage of the U.S. population receiving fluoridated water increased from 62 to 66 percent, an increase from 144 million to 162 million people. Several states, including California and New Jersey, didn’t meet the objective, researchers noted in the Feb. 22 issue of CDC’s Morbidity and Mortality Report. Meanwhile, the American Dental Association (ADA) reports that current water fluoride levels are damaging some children’s teeth, according to the group’s February journal and echoed by a New York-based anti-fluoridation group. Minnetonka, Minn.-based Osmonics Inc. has established a Specialty Separations Equipment product line. 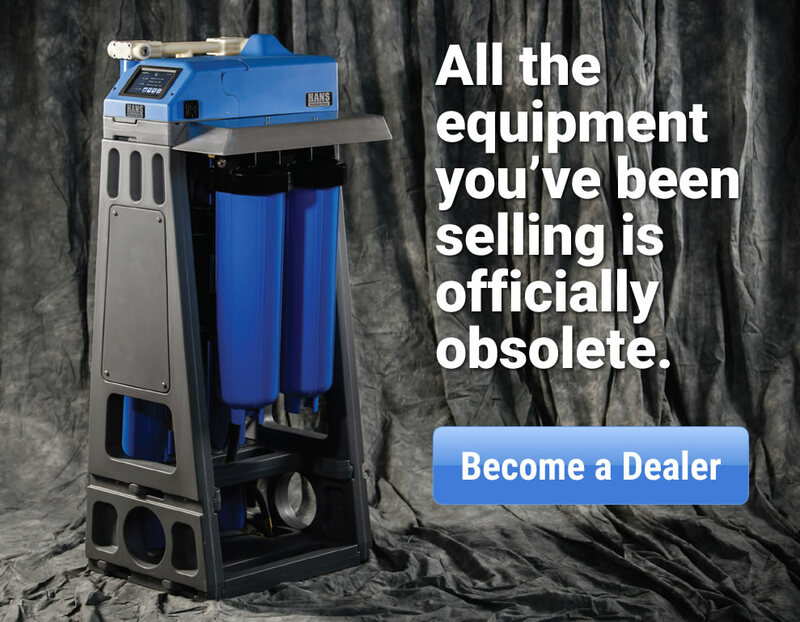 The product line is geared toward smaller-scale industrial plants and even small garage shops, enabling them to economically enjoy the same fluid recycling benefits available to larger operations. Products in the line will help industrial manufacturers minimize chemical usage, reduce waste and improve their productivity. The line will consist of packaged fluid treatment systems, using new and existing technologies that enable companies to treat small and medium capacity flows in their processes. Gerald Gach, a 20-year veteran, will head sales, marketing and development for the product line. Meanwhile, Osmonics reported sales of $207.4 million for the year ending Dec. 31, an increase of 3.6 percent vs. sales of $200.1 million for the prior year. All three of the company’s business segments reported sales increases in the fourth quarter compared to the same period in 2000. The Process Water Group showed a 10.5 percent increase and an 8.1 percent increase was achieved in the Household Water Group. The Filtration and Separations Group reported a 2.8 percent increase. In other news, the company now offers online shopping at www.shop.osmonics.com. Prior customer transactions could only be done via phone or fax. Crane Environmental, a Crane company, has acquired Palmetto, Fla.-based Kavey Water. 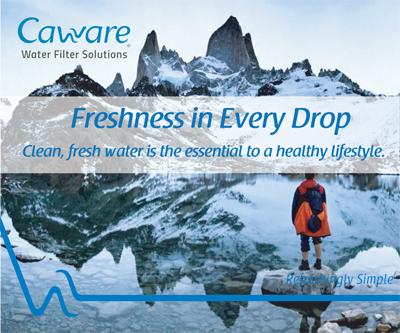 Kavey Water’s strengths in pre-treatment equipment for water purification complement Crane Environmental’s manufacturing of small to large reverse osmosis systems. “The synergies between the two companies are very significant,” said John Marrinucci, president and CEO of Crane Environmental. “This new relationship is beneficial to both companies by bringing two pieces of the water treatment process together to provide more complete water purification solutions for both companies’ customers.” Kavey Water will continue to operate as before. Customers with questions or concerns should contact Bill Kavey or Frank Van Horn at (800) 373-5454. With locations in Trooper, Pa., and Venice, Fla., Crane Environmental employs approximately 120 people and designs, manufactures and installs specialized water purification systems. 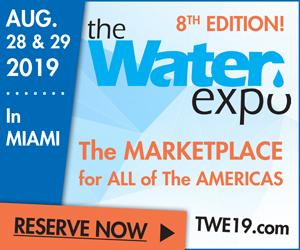 A new section, bottled water, was introduced at the WQA Annual Convention and Exhibition in New Orleans, according to WQA Newsfax. 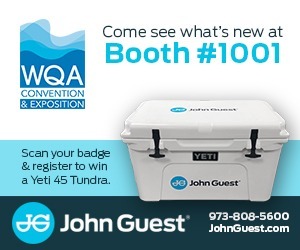 This section will allow WQA members, who are interested in adding a bottled water component to their business, a chance to network with other members doing the same. Bottled water is the fastest growing category of beverage sales in the United States; case sales more than doubled between 1998 and 2000. “We would want to work with IBWA and use their resources for their expertise and contacts,” said Joe Harrison, WQA’s technical director. “Many of our member companies are getting into bottled water. 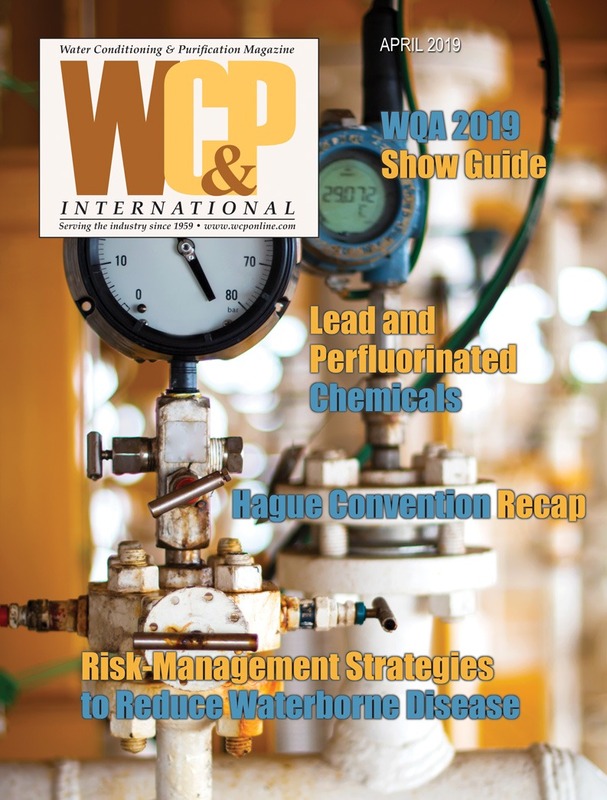 They would like to get some information on bottled water issues such as labeling, regulations and other matters.” For more information, WQA members were invited to attend an educational session at the convention. In addition, the Bottled Water section’s first meeting was included as part of the Retailer/Dealer Section meeting. There’s been speculation that the WQA and IBWA may embark on a trade show together. 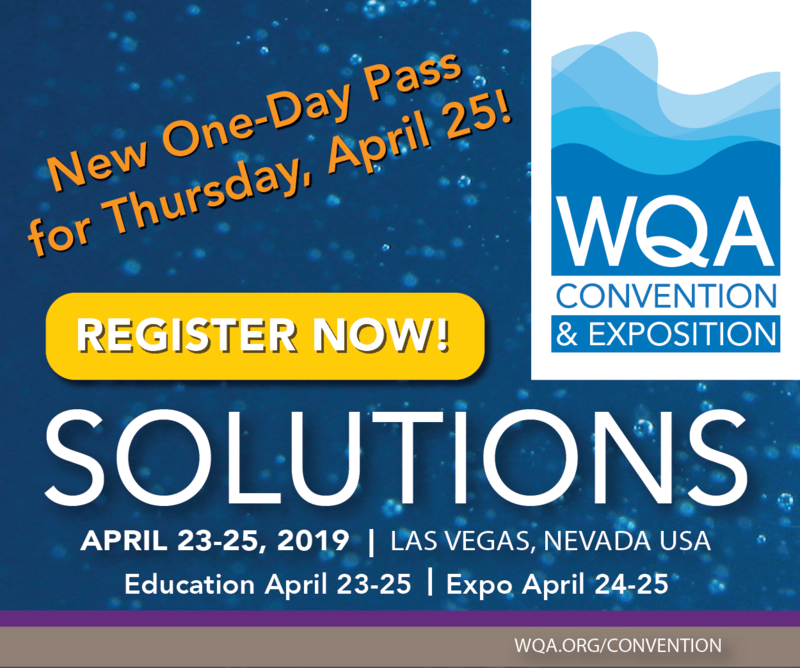 Harrison said, “If we were to bring in bottled water, it would be an addition to what we are currently doing at the annual WQA show rather than a subtraction. It might be a longer show with different pavilions. 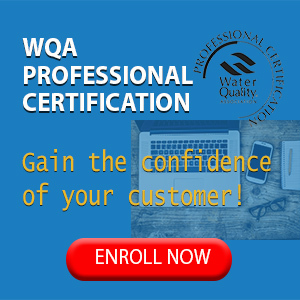 It could happen as soon as next year if people decide they want to do it.” And what has been the reaction of WQA’s members? He replied, “The feedback has been all positive.” He added that the WQA has been in close communication with IBWA director Joe Doss on the topic. The USEPA finalized the Long Term 1 Enhanced Surface Water Treatment Rule on Jan. 14. 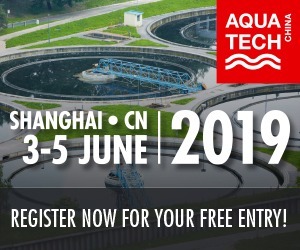 The purpose of the rule is to improve control of microbial pathogens, specifically the protozoan Cryptosporidium in drinking water, and address risk trade-offs with disinfection by-products. In short, the rule will force certain public water systems to meet strengthened filtration requirements. 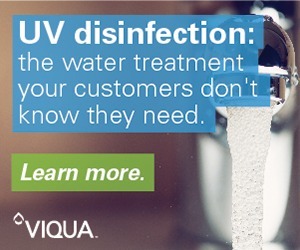 It will also require systems to calculate levels of microbial inactivation to ensure that microbial protection isn’t jeopardized if systems make changes to comply with Stage 1 Disinfectants and Disinfection By-products Rule. According to an August 2001 report by ABC’s 20/20, high levels of bacteria may frequently be found in dental equipment. Almost 90 percent of the water samples tested in 20/20’s investigation did not meet federal drinking water standards, and two-thirds contained oral bacteria from the saliva of previous patients. Part of the problem can be traced to stagnation. When instruments are not in use, the water sits inside the tubing. The small number of environmental bacteria naturally found in the water quickly multiply and cling to the walls of the tubing. A University of Louisville Dental School study, however, tested water from more than 60 dental offices across the nation. The report stated that organisms found in the water are environmental bacteria and generally not harmful to most people (see www.org/prof/prac/issues/topics/waterlines.html). In other related news, Toronto dentists are playing catch-up to meet a new city requirement to stop flushing mercury into the sewer system, according to the Canadian Water Quality Association. Mercury, a nerve toxin that can cause learning disabilities in babies, makes up 50 percent of silver amalgam, the most common form of filling used by dentists. About one-third of all mercury in Canada’s sewer systems comes from dentists’ offices, about a kilogram per dentist annually. By June, they must have collection equipment that will reduce mercury dumping by 10 times the current allowable rate level of .01 milligram per liter of water. In a move that could add $1 billion in annual sales, GE Specialty Materials—a unit of General Electric Co.—has acquired the water treatment services business of BetzDearborn, of Trevose, Pa., from Hercules Inc. The $1.8 billion transaction, which is subject to regulatory approval, is expected to close in the spring. BetzDearborn is a global service company providing engineered chemical treatment of water and process systems in industrial applications. 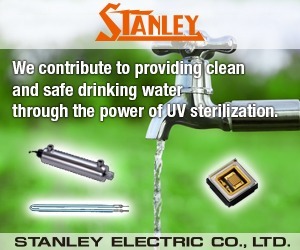 It’s the second largest industrial water treatment service business in the world. Globally, the water treatment business segment is a $6-billion opportunity. BetzDearborn has offices in more than 50 countries. It has four regional centers and 25 production plants located in North America, Asia-Pacific, Europe and Latin America. GE’s acquisition also largely ends Hercules’ short association with BetzDearborn, which Hercules purchased in 1998, paying more than double the company’s stock price at the time. “GE will be more aggressive in the future,” predicted Neil Berlant, senior vice president of Wells Fargo Van Kasper, a Los Angeles-based brokerage firm. In other acquisition news, filtration systems maker Pall Corp., of East Hills, N.Y., said in mid-February that it agreed to buy the filtration and separations business of USFilter Corp., an indirect wholly owned subsidiary of Vivendi Environ-nement. (In 1998, USFilter appointed Andrew Denver as president of the division after the company had purchased Memtec Ltd., which he founded in Australia.) The amount of the deal is $360 million. Pall, at $270 million in sales annually, makes filtration products for separation and purification of liquids and gases for the food and beverage, industrial, biotechnology and pharmaceutical industries. It expected the transaction to be completed by April. “Pall has previously been discounted as not being a player in the business—they’re a player now,” said Berlant. Vivendi Environ-nement said the sale was part of its strategy to divest non-core assets and focus on its core environmental and water/wastewater businesses. In other news, Neil Desmond, vice president and general manager of USFilter/Plymouth Products, acknowledged that Plymouth is also on the sales block. Plymouth, known for its AMETEK product line and located in Sheboygan, Wis., employs 400 people. Meanwhile, Vivendi chairman Jean-Marie Messier, under pressure from Wall Street and shareholders over a $13.3 billion write-off because of acquisitions made at the market’s peak (resulting in a 2001 $11.9 billion net loss) and revised accounting rules, suggested in a March 6 Reuters article that Vivendi Environnement may be “deconsolidated.” Jim Force, USFilter corporate communications director, said that’s currently limited to Plymouth and no further plans involve the Consumer and Commercial Products Group, which includes Culligan. “Certainly, Culligan is an active part of our business model and we plan to continue investing in and growing it,” Force said. The first study of Europe’s burgeoning point-of-use (POU) water cooler industry reveals growth of 57 percent last year to 123,000 units across 16 countries, according to Zenith International. The United Kingdom has the largest European POU presence with a 42 percent share and the greatest number of newly installed units in 2001. France is second and Ireland is a close third and the most established market with the highest number of units per person. Rates of growth varied widely across Europe, led by Germany where the market tripled in size, and four countries where installations at least doubled—Finland, Italy, Denmark and Switzerland. Zenith forecasts that the European POU market will experience annual growth rates between 25 percent and 40 percent, reaching in excess of 450,000 units in 2006. In a recent interview, Chairman Franck Riboud of French food group Danone said he would not jeopardize the company’s margins by competing directly with Coca-Cola Co. and PepsiCo, which are aggressively moving into the bottled water market with the Dasani and Aquafina brands, respectively. While Danone is the world’s biggest bottled water producer in terms of volume with 12.5 percent of market share, it’s also competing against Switzerland’s Nestle in the United States. Riboud said Danone isn’t interested in being a niche market player. Instead, the company has staked its fortunes in emerging markets like Mexico, China and Indonesia, which Riboud sees representing 60 percent of future worldwide growth in bottled water as opposed to the projected 10 percent for the United States. Danone’s bottled water business, excluding home and office delivery, represents between 1.5 and 2.5 percent of group operating profit. In related news, the company reported in mid-February a steeper-than-expected drop in net profit last year vs. 2000. Hach owner Danaher Corp., of Washington, D.C., has acquired Viridor Instrumentation from Pennon Group Plc, of Exeter, U.K., for approximately $135 million. Viridor is a manufacturer of analytical instruments for drinking water, wastewater, ultrapure water and other fluids, and has annual revenues of about $75 million. It operates in eight countries including the United States. Black & Veatch, of Overland Park, Kan., has been awarded two contracts that will substantially increase the company’s workload in Vietnam. To accommodate the additional workload, the company has opened new project offices in Ho Chi Minh City and Hanoi. The project, consisting of the rehabilitation and extension of irrigation infrastructure in five provinces of the Mekong Delta, will increase productivity of and exclude saline water from approximately 500,000 acres of agricultural land. Under the second contract, the company is performing a feasibility study and will develop preliminary designs for environmental improvements in the Tan Hoa-Lo Gom drainage catchment of Ho Chi Minh City. Black & Veatch Corp. is a leading global engineering, construction and consulting company specializing in infrastructure development in the fields of energy, water and information. The city of Karamay’s (China) new wastewater treatment plant with USFilter’s technology has been in operation since November. In February 2001, the Foreign Economic Trading Corporation of Xinjiang Petroleum Administration awarded USFilter a $3.1 million contract to supply equipment for the plant. In other news, USFilter has received a contract from Dead Sea Works Ltd. for a hot leach crystallization system capable of producing 1.3 million metric tons per year of potassium chloride. The system is scheduled for start-up early next year. Eltec, Northland Motor’s manufacturing facility located in Juarez, Mexico, has earned ISO 9001 certification, the highest level in the ISO 9000 global standards system. As a result, Eltec is the first Northland plant outside the United States to receive this distinction. (Northland’s Watertown, N.Y., facility has been certified since 1996). Eltec manufactures series universal electric motors in sizes from fractional horsepower up to 5 horsepower, as well as 3.3 shaded pole induction motors. The Eltec facility has 215 employees as well as engineering, quality, accounting, manufacturing and materials staffs. Northland is a division of Scott Fetzer Co. Northland has been in the appliance, pump, pool and spa, lawn and garden, floorcare and power tool market. ZENON Environmental said it has sold $37 million of its shares to a syndicate of underwriters led by Research Capital Corp. Proceeds of the offering will be used for financing the construction of the company’s second manufacturing facility in Hungary for the development and marketing of its point-of-entry water treatment product, and the balance for general corporate purposes. Science & Technology India 2002, India’s first major annual international exhibition and conference, will focus on cost-effective, innovative and user friendly technologies in the areas of environment, water, industrial automation and instrumentation. The event will take place on April 10-12 in Pragati Maidan, New Delhi, India. 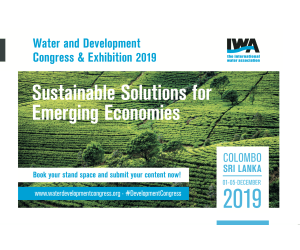 The show will be organized by Exhibitions India. French water-to-media conglomerate Vivendi Universal said in February that its revenue rose 9.7 percent to $50 billion in 2001 vs. $46.3 billion a year earlier led by the solid performance of its telecoms and environment services operations. Revenue from Vivendi Envir-onnement, the water and waste management group in which Vivendi owns a 63 percent interest, rose 11 percent to $25.4 billion vs. $22.94 billion in 2000.